and elephants and plenty of spear-armed heavy infantry backed up by a range of missiletroops means it would also be a very flexible army as well. As I look at my spare plasticfigures from various other ancient period armies, it seems to me that now might be a verygood time to resurrect that old idea either for WRG Ancients or DBA (or both! 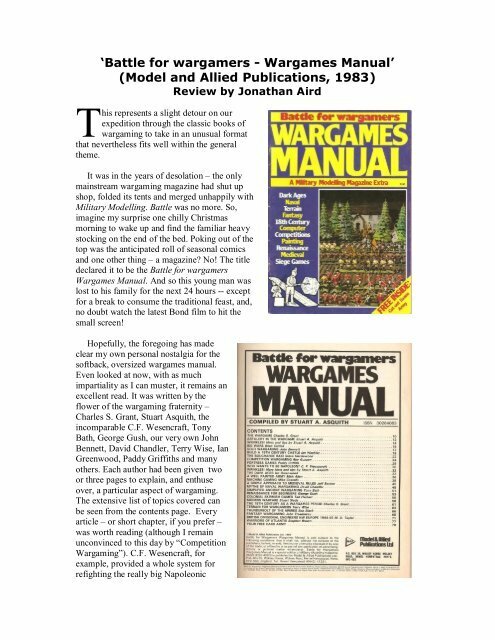 ).Copies of the Wargames Manual turn up regularly on Ebay and are usually priced at only afew pounds (around $5), representing a very sound investment at that price.